Cannes officially has zero documentaries in contention for the Palme d’Or this year. Again. Two of the four Nicole Kidman projects premiering at the Croisette made the Official Competition, but Cannes artistic director Thierry Fremaux and company couldn’t even find a token slot to represent an entire branch of filmmaking in the spotlight. The prestigious Un Certain Regard line-up, similarly, contains no docs. Cannes officially offers more fiction than Kellyanne Conway does on the evening news. Dommage! There are nevertheless some exciting documentaries scattered around the fringes of the official selections at Cannes. Nearly 20 docs (including shorts) represent non-fiction film at the festival this year. The films will compete for the relatively new Œil d’or prize exclusively reserved for documentaries. This year’s jury for the award is comprised of actor Sandrine Bonnaire (La cérémonie), TIFF international documentary programmer Thom Powers, director Lucy Walker (The Crash Reel), and international film critics Lorenzo Codelli and Dror Moreh. French filmmaker/journalist/photographer Raymond Depardon is one of the few regulars to represent documentary at Cannes. The ten Cannes selections in his career reveal the festival’s bias against docs fairly well, since the only one of his film to make it into the competition, 1990’s La captive du désert, is a drama. (He also won France’s best documentary César for Délits flagrants, which didn’t screen at the fest.) Depardon’s new doc is about a psychiatric hospital where patients who aren’t committed voluntarily have a chance to attend a hearing and make their case for release after twelve days in the ward. Master filmmaker Claude Lanzmann returns to Cannes and if an auteur like him can’t find his way into competition, then who can? The Shoah director’s latest project brought him to North Korea where he filmed without permission to tell this story of a 1958 encounter between a French officer and a Korean nurse who were united by their ability to share one common word: ‘napalm.’ Using a retrospective look at this incident and the contemporary lens through which he infiltrates the Asian nation, Lanzmann reflects on the endurance of a regime and the lives its shaped. The House I Live In and Why We Fight director Eugene Jarecki makes his Cannes debut withPromised Land. The film fills the slot for the obligatory music doc, but it sounds as if there’s a lot more to it. Promised Land takes a musical road trip across America to examine the life of Elvis Presley. Jarecki’s doc reflects on the changing nation from behind the wheel of The King’s Rolls Royce and considers how a land with so much potential can be at such a crossroads. Jude Ratnam makes his feature debut with this doc that spent ten-years in the making.Demons in Paradise sees the Tamil filmmaker return to Sri Lanka after fleeing the country in 1983. The film reopens scars with hopes for healing in this personal quest for answers. Academy Award winning actor Vanessa Redgrave (Julia, Atonement) makes her directorial debut with Sea Sorrow. The 80-year-old icon is one of the few thespians to have won the Best Actress prize at Cannes twice (for 1966’s Morgan: A Suitable Case for Treatment and 1969’sIsadora) and she’ll make history if she also scoops the L‘Œil d’or, the Camera d’or for debut filmmakers, or both. Redgrave’s doc is a personal essay on the global migration crisis that reflects upon its history as the filmmaker visits refugee camps. In between are meditative theatrical interludes featuring greats like Ralph Fiennes and Emma Thompson in a hybrid film about the ongoing struggle for human rights. Barbet Schroeder has an odd filmography of thrillers and documentaries. The Iranian-born director of Single White Female, Barfly, Murder By Numbers and Reversal of Fortune, which netted Schroeder an Oscar nomination for Best Director and a win for actor Jeremy Irons, also has docs under his belt like the four-hour epic The Charles Bukowski Tapes, the Cannes selection Terror’s Advocate and Koko: A Talking Gorilla. Schroeder’s latest doc profiles Buddhist Monk Venerable Wirathu in the context of Burma’s growing Islamophobia to ask how a country with such a strong belief in peace and compassion can have so much violence towards another faith. French actor Eric Caravaca (Chicken with Plums) excavates family history by revisiting the oft-unspoken of site of his sister’s burial. The girl died at the age of three, but his parents keep nary a memory of her. Why? Archibald Leach had one of the top careers of Hollywood’s classic era. 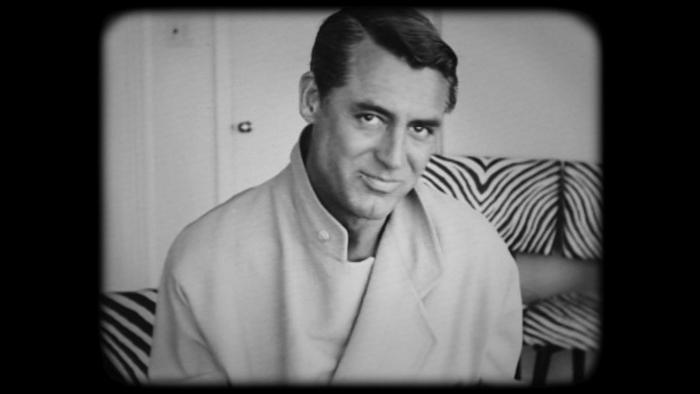 Better known as Cary Grant, Leach was the dashing lead in capers like To Catch a Thief and Charade, thrillers likeNorth by Northwest and Notorious, and comedies like The Philadelphia Story and His Girl Friday. This new doc on the Hollywood icon draws upon excepts from Grant’s unpublished autobiography with words read by Jonathan Pryce accompanying home movies shot by Grant himself. The film examines childhood trauma that shaped Grant’s career as well as the alleged double life behind the suave mask of a star. We’ve seen versions of Grant’s life before in docs such as the Orry-Kelly portrait Women He’s Undressed but how will this picture remember Grant? Also in the Cannes Classics’ sidebar of documentaries about movies is Filmworker, which looks at actor Leon Vitali, who walked away from potential success after starring in Stanley Kubrick’s Barry Lyndon. Although he later appeared in a few other films like Little Childrenand Kubrick’s Eyes Wide Shut, Vitali left the spotlight to become Kubrick’s personal assistant and this doc examines the filmmaker/filmworker relationship. On the heels of the missed opportunity of Becoming Bond, which misrepresented the career of one-hit wonder George Lazenby in a fun and breezy portrait, one hopes that this doc strives for something a little deeper. Other docs in the Cannes Classic programme include The Belgian’s Road to Cannesabout Belgian films at the festival and a pair of profile docs on film critics David Stratton and Jean Douchet. The lone doc at this year’s parallel festival, the International Critics’ Week, this sophomore feature by Emmanuel Gras profiles a Congolese labourer and his dreams of life beyond his exhausting schedule. Three docs for film buffs compete in the glitzy Directors’ Fortnight at Cannes. One serving of film on film comes in Abel Ferrara’s Alive in France. This film sees the Bad Lieutenant andPasolini director curate a show at France’s Addiction à l’oeuvre festival. His retro features highlight musical moments from his films as he prepares for the big show. Sonia Kronlund’sNothingwood profiles prolific Afghan filmmaker Salim Shaheen, while Amos Gitai revisits his 1982 film Field Diary by returning to the ongoing conflict between Israel and Palestine to see if there will ever be hope for change.